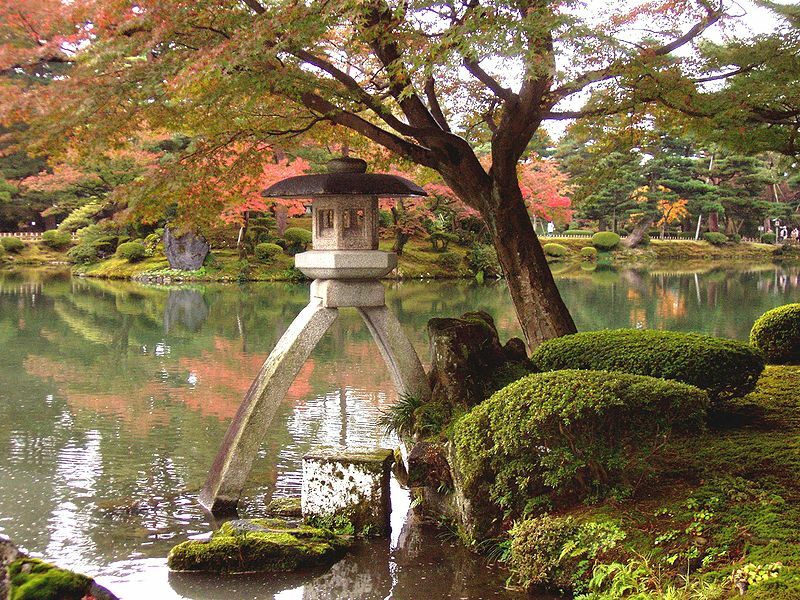 The Kenrokuen Garden in Kanazawa is considered one of the three most beautiful landscape gardens in Japan. Once the outer garden around the castle of a ruling family, Kenrokuen has been open to and enjoyed by the public since 1871. Thanks to the Hokuriku Shinkansen, an extension of the Nagano Shinkansen Line that began operating in 2015, it is possible to cover the journey from Tokyo to Kanazawa. 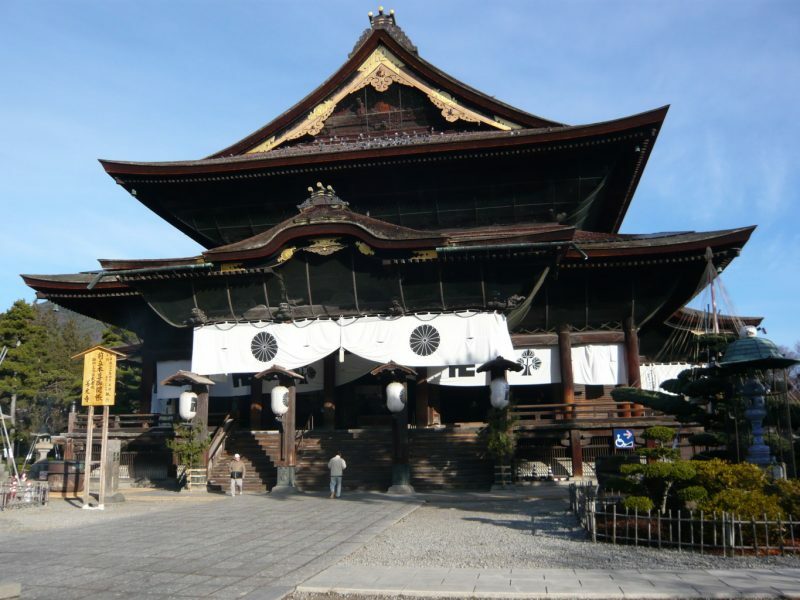 Now you can reach this and other attractions in Kanazawa- such as the Ninjadera Temple, the 21st Century Museum, the Oyama Shrine, the Omicho Market, or the Nagamachi samurai district – in record time. Consider the following information when making your plans for using the Hokuriku Shinkansen. The passage on the Hokuriku Shinkansen is covered by the Japan Rail Pass and the JR East Nagano Niigata Pass. You can activate your JR Pass in many of the main train stations. These include but are not limited to the Travel Service Centers in Nagano and Tokyo Stations, and the Nippon Travel Agency branch at Kanazawa Station. If you wish to make a seat reservation, visit a ticketing office within the train station. Give the staff member your desired destination and present your JR Pass. Then, whether using a reservation or accessing non-reserved seating, simply present your JR Pass to the gate staff to board your train. 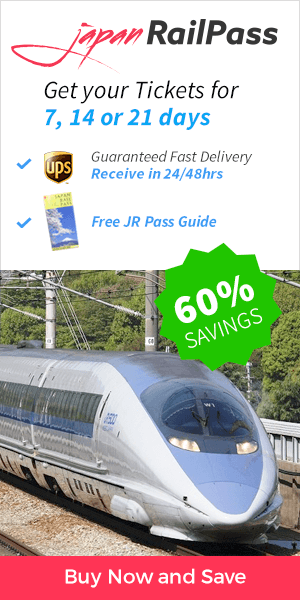 Once you have your JR Pass in hand, you are ready to embark on the Hokuriku Shinkansen Line. There are many options concerning trains and points of departure, as discussed below. The primary stations of note along the Hokuriku Shinkansen Line are Tokyo Station, Nagano Station, and Kanazawa Station. Additional stations along this line include Iiyama, Joetsumyoko, Itoigawa, Kurobe-Unazuki Onsen, Toyama, Shin-Takaoka, and Kanazawa. If you can make time for an excursion, there is much to see, from Toyama’s famous clay dolls to the large plum forest near Mt. Asama. If you wish to bypass the smaller stations along your route, consider reserving a seat on the express train Kagayaki. The Hakutaka also bypasses many stations between Tokyo and Nagano. 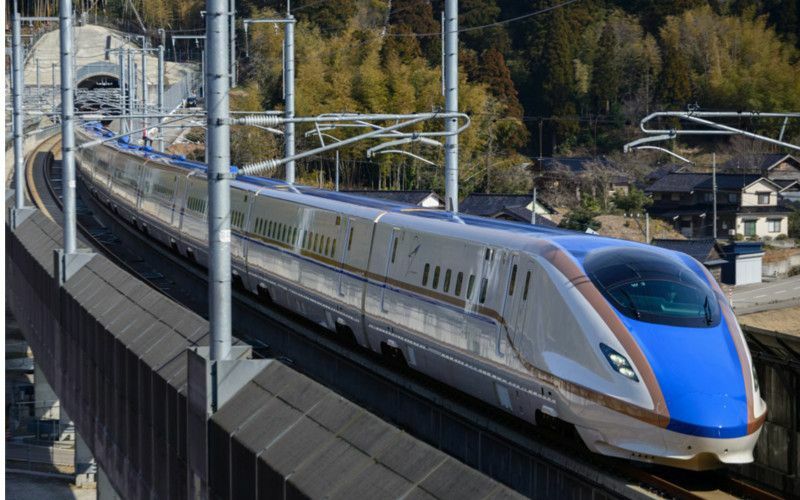 How can use use the Hokuriku Shinkansen to travel to Nagano, Kanazawa, Toyama, or elsewhere? 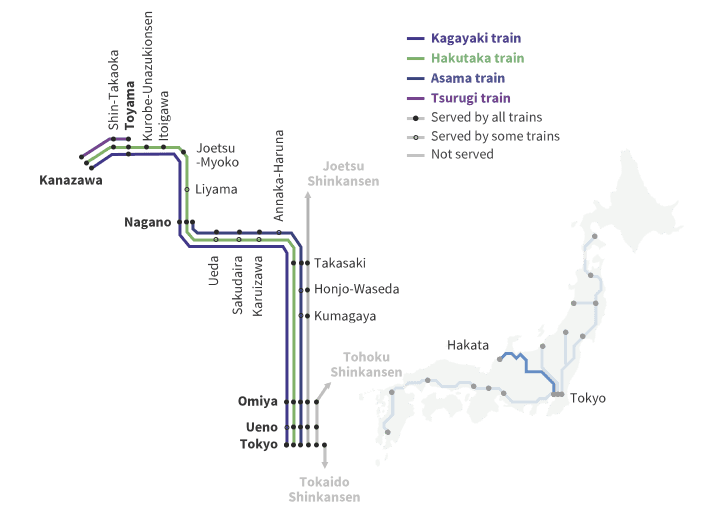 Consider the following train services connecting Tokyo, Nagano, and Kanazawa. The Kagayaki: the fastest train on the Hokuriku Shinkansen line. This train stops only twice between Tokyo and Kanazawa (Omiya and Nagano). The journey from Tokyo to Kanazawa will take you less than two and a half hours. The train operates with 260 km/h (160mph). The Kagayaki features only reserved seats, in both its green class and the luxury Gran Class cars. Hakutaka makes more stops between Tokyo and Kanazawa than the Kagayaki (less than 3 hours). The operating speed of Hakutaka is 260 km/h (160 mph). The Asama takes its name from Mount Asama, an active volcano near Karuizawa. Two train types are operating the Asama train services: 8-coach and 12-coach train sets. Both are non-smoking trains with reserved and non-reserved seating space, Green Cars, and wheelchair space. The Tsurugi train serves as the main connection between Toyama and Kanazawa. The service was first introduced in 1961 and included a sleeping car. After many line reformations, the Tsurugi uses 12-coach trains, 3 of which are not in use currently. 1 of the 12 cars is Green Car (first class). A Shinkansen train known as the Asama, named after a large active volcano, makes the trek from Tokyo Station to Nagano Station. At Tokyo Station, you can locate the Shinkansen departure tracks from Track 20 to Track 23. You may also take the Kagayaki or Hakutaka trains from Tokyo to Nagano as described above. From either Tokyo Station or Nagano Station, you can take the express train Kagayaki or the Hakutaka to Kanazawa Station. The trip from Tokyo to Kanazawa takes only two and a half hours on the express train or about three to three and a half hours on the non-express train. If using this train, take care to make your set reservations in advance. If all seats are booked, standing tickets can be purchased. The Kagayaki typically departs during morning and evening hours. An additional train called the Tsurugi operates on this line between Kanazawa Station and Toyama Station. The Tsurugi trains do not connect to Tokyo or Nagano and cater mostly to local traffic commuting between the two cities. Note that several of the train cars of the Tsurugi, specifically cars 8, 9, 10, and 12, cannot be used. The Hokuriku Shinkansen Line as we know it today represents an extension of the Nagano Shinkansen Line, which was completed during the mid-1990s to facilitate the 1998 Winter Olympic Games in Nagano. Further extensions to the line are under consideration. In 2017, JR West began trial runs extending the line west of Tsuruga. Eventually, the final section of the line will carry the Hokuriku Shinkansen to Osaka. Deliberations are still underway as to the exact route the line will take, but it may include stops in Kyoto as well. Where will your travels throughout Japan take you? With your JR Pass in hand, the options are endless. I will be travelling from Kanazawa to Hakodate in May. Can you please tell me if the Shinkansen Kagayaki508 and the Shinkansen Hayabusa 21 are covered by the ordinary Japan Rail Pass? From Kanazawa, you should take the Hokuriku Shinkansen to Omiya station (Tokyo area), and then change to the Akita Shinkansen towards Kakunodate. That should take approximately 6 hours. I’m on my way to Japan. My original itinerary was to fly in to Kansai and take the train to Kanazawa but due to the recent typhoon now my flights is rescheduled to fly in to Narita. I could not find how to commute from Narita terminal to Kanazawa station. Can you kindly provide me some advise? Hi Don! Once you land at Narita you can take the Narita Express, fully included in your Japan Rail Pass. You will just need to step off at Tokyo Station and take the Hokuriku Shinkansen to Kanazawa, as detailed in this article. Enjoy your trip!